Sharp's Aquos LE820 televisions will now be able to play DivX video, after a partnership between the two companies was announced. The LE820 series already boasts Sharp's fourth coloured pixel technology and the televisions will now benefit from DivX compatibility. "DivX, Inc today announced a new partnership with Sharp Corporation to enable high-quality DivX video on digital TVs," said DivX's release. "Consumers who purchase the newly DivX Certified AQUOS LE820 TV line will be able to enjoy DivX HD 1080p videos in the DivX format using the TV's USB slot." "Typical HD video requires a considerable amount of digital storage space, but DivX HD video provides a superior media experience by maintaining the highest visual quality while significantly reducing the video file size," added DivX. "Using DivX technology, users can fit approximately two hours of high-quality DivX HD video on an 8GB USB thumb drive." 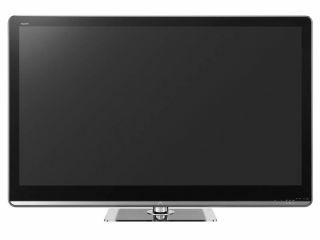 Sharp's LE820 series comes in 60, 52, 46, and 40 inch sizes, boast 4ms response time and has 120hz frame rate conversion.